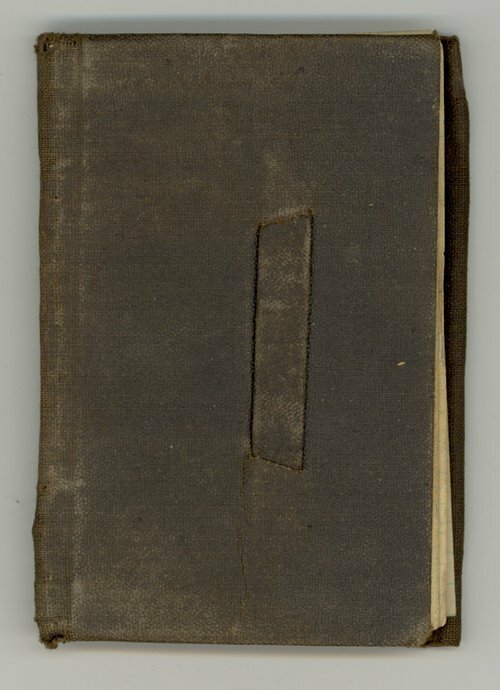 This diary comprises part of series three of the Abbie Bright Papers. Abbie's brother Philip wrote the diary during his stay in Kansas. Around 1870, Philip Bright moved to Kansas and took up a claim near present-day Clearwater in Sedgwick County. Abbie came to visit him soon after. The diary describes Philip's experience settling in Kansas in many very brief entries. It describes his travels, building a dugout, buffalo hunting, his health, raising stock, and helping his neighbors. The diary also includes accounts, a calendar of work, and information on his soldier's pension. Philip Bright did not settle permanently in Kansas. He accumulated a substantial amount of money and moved to Texas and then to Arizona by 1873 where he was murdered in his sleep and robbed.